One of your child's favorite future pastimes may be to reminisce and browse through old photographs of herself as a child. 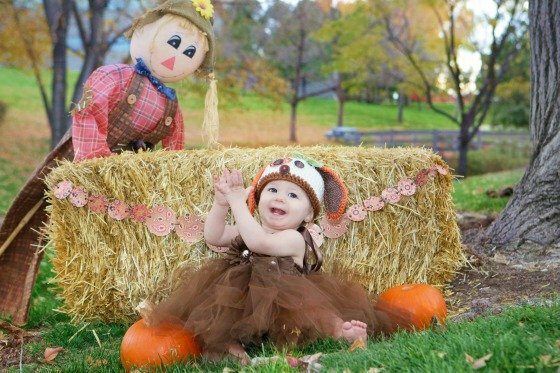 A fun fall time tradition to start could be achieved easily through photos - as they are the best way to preserve memories that will last a lifetime. 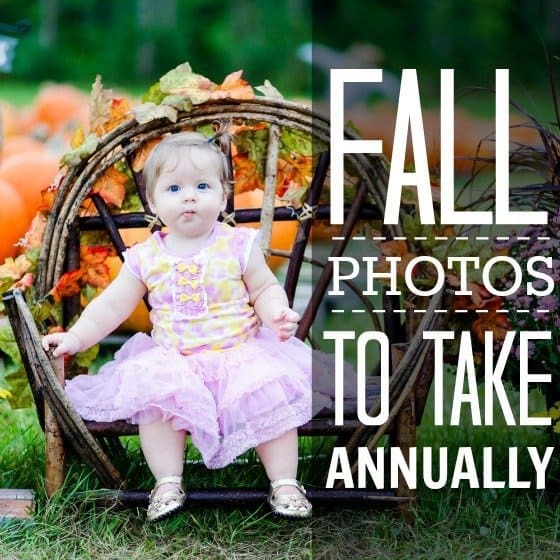 Plus, with so many fun and unique ways to utilize your photos, what's to stop you from taking the plunge and committing to annual fall photos? You may live in a rural area with tons of corn, or in a brownstone in the city, but you will be able to achieve one (or more!) 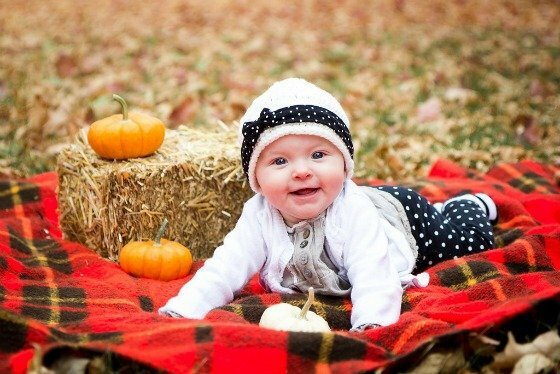 of these fall photo ideas with some creativity, and a heart for capturing memories through photography. 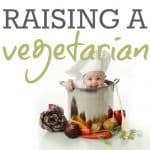 Having your child pose yearly is the perfect way to document growth, changes, and life stages. It may not be perfect every single year, but it is sure to have personality and heart behind it! This fall photo may be the most obvious. 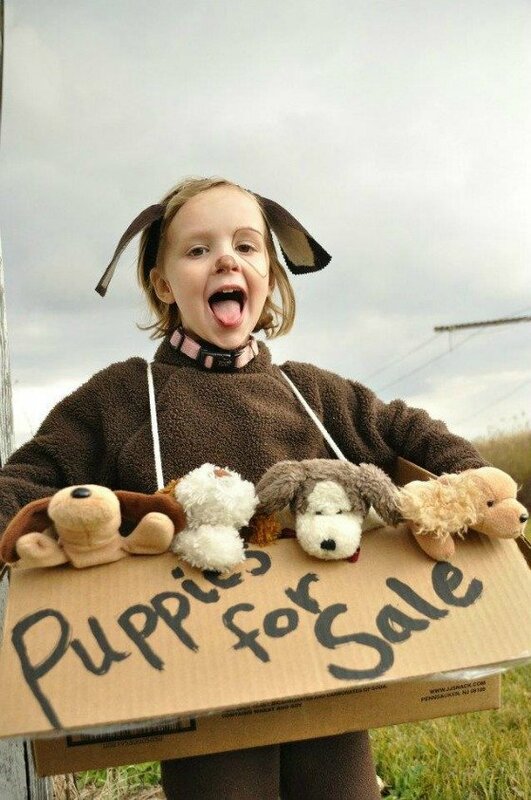 Snap a photo of your child in their yearly costume! Try to put it on them when it's a bit lighter outside, and use a dependable camera, as opposed to Instagram. This is a precious memory your child will look back on, and remember fondly! Use your local area as a backdrop inspiration for a photo. 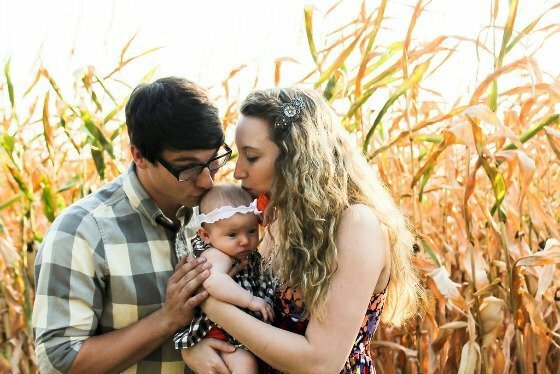 Do you live next to a corn field? The autumn colors make for an interesting and unique location. 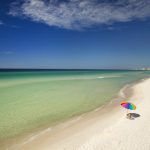 Your "field" may be a local park with pretty fall colors, or even a beach! 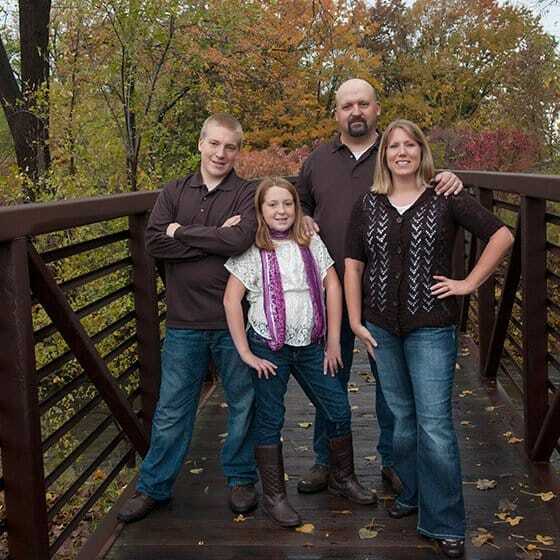 The memory of your family in that location is special, so why not utilize it? 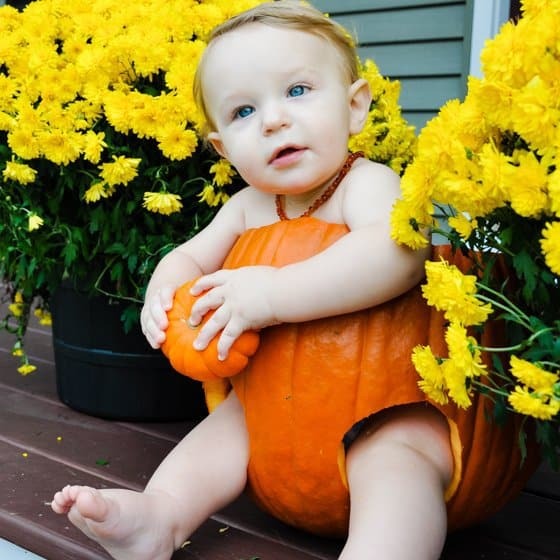 Take some of your front porch decorations, and use it as a backdrop for your child to pose with. It may change yearly, depending on your personal interest, or your child's personality, and that's what makes it so much fun! 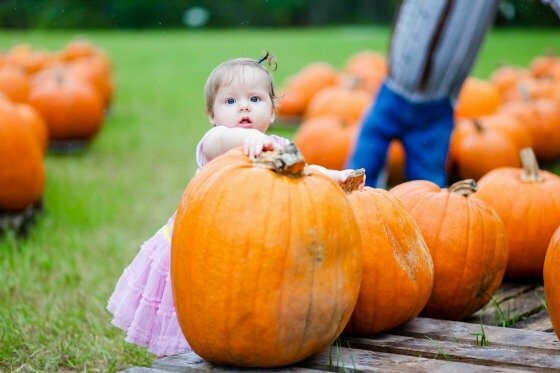 Make it a fall tradition to pack up the kids and head off to the pumpkin patch for a family activity. 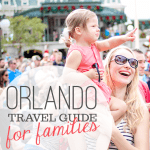 Most communities offer one within driving distance, and all it may take is a simple search engine in your smart phone to lead you to your perfect day of family fun. Check sites like Yelp for other customer reviews, and an insider tip of the best one available to you. 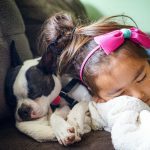 We love these photos because it really shows the growing child! Eventually, they may be eye to eye with you, and you'll get to compare every single year just how much taller they got! This photo may require your creativity as your child gets older, and their willingness to play in a pile of leaves goes out the window. 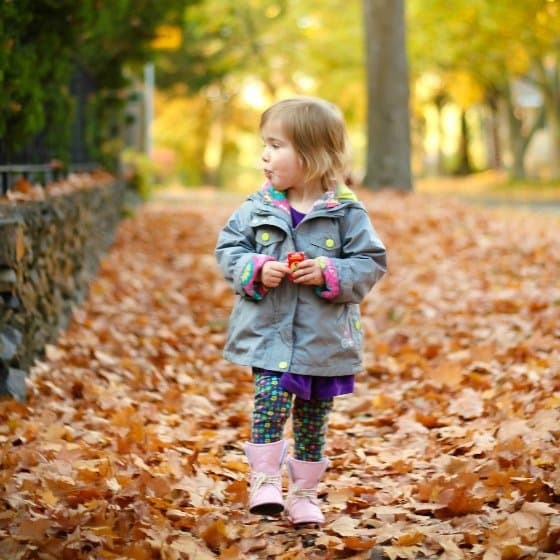 Show them holding up a gorgeous fall colored leaf, or walking through them like the above picture. 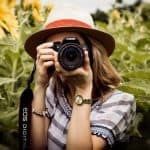 Get creative with your momtography! In most locations in the United States, fall is the perfect weather to explore the outdoors. 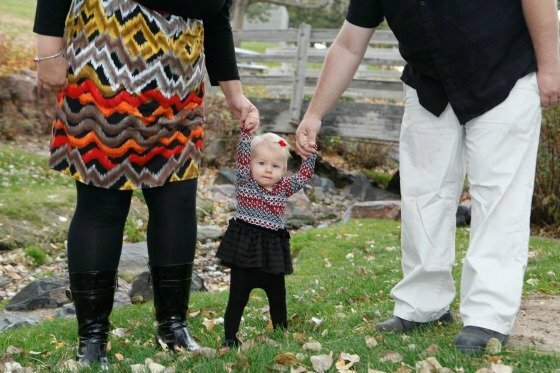 The lighting is also wonderful in the evenings before the time change to gather up your growing family for an all-inclusive photo. 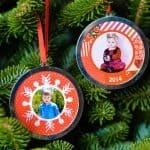 It can serve a double purpose and also be used in the coming months for a Holiday card! This one doesn't have to be an elaborate photo shoot, and can even be taken indoors. Prop your child up next to a pumpkin, and go to town. 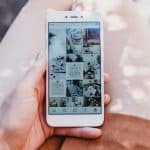 Are you feeling inspired by Pinterest? You can scoop out the pumpkin and place your baby inside it. The sky is the limit!